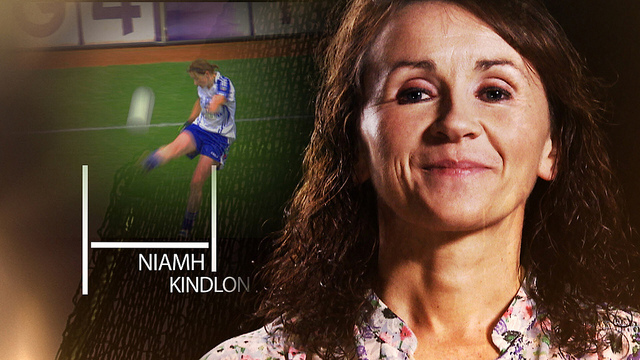 Monaghan All-Star footballer Niamh Kindlon from Magheracloone is profiled as one of the modern greats of ladies football in next week’s popular GAA documentary series Laochra Gael. 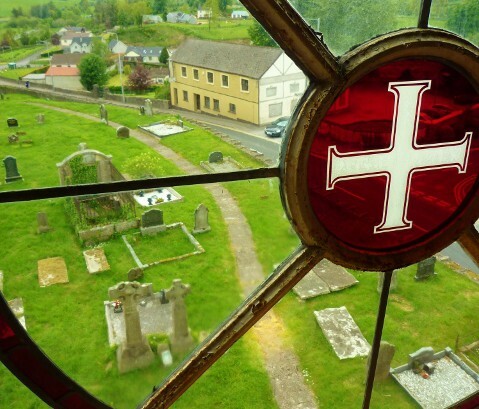 It will be broadcast tonight (Tuesday March 3rd) by TG4 at 8pm. A special preview screening took place last Thursday evening at McNally’s bar in Carrickmacross for Niamh, her family and friends. It was attended by the TG4 Ceannaire (Director General) Pól Ó Gallchóir. Each of the ten programmes in the new season contains an extended interview with the subject, archive footage of her or his finest hour on the pitch and an assessment from friends, rivals and team-mates. Niamh started out under the guidance of her father Maurice as an enthusiastic nine year-old with her club Magheracloone and has been a leading light for Monaghan ladies ever since. Aged sixteen and in her first season with the senior team she played a crucial role in the 1997 All-Ireland final. Ten minutes before half-time, Niamh drilled the ball high into the top right-hand corner of the net at the Canal End goal from twenty yards. Michael Ryan, who managed the Waterford ladies, said that “even to this day, it’s the greatest goal I’ve ever seen scored in ladies’ football”. The following year the two counties clashed once again in two epic All-Irelands after the first final ended in a draw. Unfortunately for Monaghan, Waterford won the second time round but the rivalry set a new standard for ladies football. Niamh and Monaghan both made the comeback but a new force in Ladies Gaelic had emerged to dominate the game: Cork. Over the following years they defeated Monaghan in three finals 2008, 2011 and 2013. Niamh talks especially about her personal disappointment at not been selected to play a full part in the latter two finals. While there have been many ups and downs it is clear that Niamh loved every minute since she joined the county team as a teenager and her haul of three League titles, three All Stars and an All-Ireland medal attest to her consistency as one of the leading Ladies’ Gaelic Footballers in recent decades. 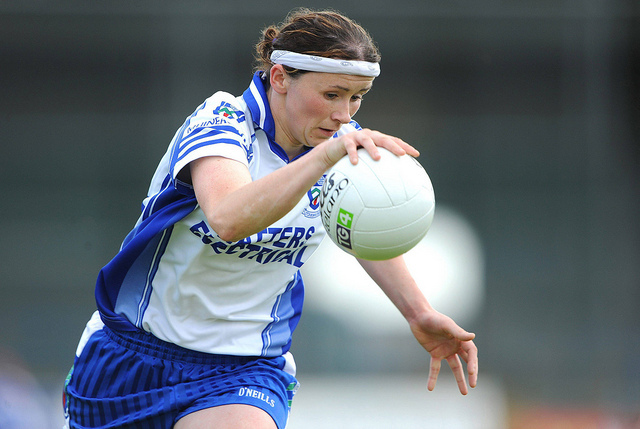 She has also won several Ulster medals with Monaghan. The documentary on Niamh is the fourth of ten in the series, which will also feature Fan & Philly Larkin from Kilkenny, Dublin’s Barney Rock, Brendan Cummins from Tipperary, Michael Duignan from Offaly, Kerry’s Ogie Moran and Ryan McMenamin of Tyrone. Catch the programme every Tuesday at 8pm on TG4, with a repeat broadcast every Sunday evening after GAA BEO. Laochra Gael is produced by Nemeton TV for TG4.